[IMPORTANT] Closure of Section "Coding & General Questions"
I regret to announce that I've decided to close the section Coding & General Questions. This section will not immediately be closed, however. All currently ongoing topics will be treated if they're still relevant. However, creation of new topics in this section has been disabled. I haven't decided yet if the closure of this section will be temporary or permanent. Don't worry though, I'm still going to provide assistance for Official tutorials and Forumactif Edge whenever possible. This closure only relates to the Coding & General Questions section. If you need any support for Forumotion which is NOT related to Forumactif Edge or tutorials available here, I suggest opening a topic on the Official Forumotion Support forum. As much as I love helping everyone, I'm only one person and I have my limits. Recently I've found myself becoming overwhelmed with the frequency of requests being posted, resulting in stress and less time to do anything else but answer questions. Personally, I'd like to focus more on studying, projects, and my personal life. Bring everyone new features and improvements for their forums when I'm free, and focus on my own personal pursuits and work when I'm not, basically. However, since I'm one of the handful of people managing this section and answering questions ( aside from @Samantha and some members who help on occasion ), I've decided to close it, because I cannot leave the section open if little to no support is or can be given. I appreciate the assistance all of you have given alongside me in this section, and I apologize if this inconveniences anyone. If you have any questions or concerns let us know. Thanks for your understanding, I hope all of you enjoyed the ride. 1. New tutorial coming soon..
2. Forumactif Edge v1.1.0 soon..
3. More awesomeness in the future. <3 you all, please don't hate me. Re: [IMPORTANT] Closure of Section "Coding & General Questions"
I respect your choice. The light can't always be burning twice as bright, or it will burn half as long. Back to core business it is! @Samantha wrote: I respect your choice. The light can't always be burning twice as bright, or it will burn half as long. Indeed, I hope to bring new and interesting toys for everyone. You're welcome, it was a pleasure having helped everyone. Thanks, I got a lot of ideas swirling around..
@Michael_vx wrote: I respect your choice. I remember helping you a lot back on the support forum. Fun adventures ! I think you've gotten a lot better over the years. Remember practice makes perfect, and failure is the first step towards learning. I'm more of a front-end guy. Back-end developers usually work on the servers, databases, etc.. basically the stuff the user doesn't see. I agree with you though, fresh air is always good. @skouliki No problem. ^^ And yep ! 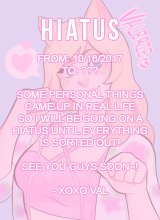 More tutos on the way, and some updates to FAE ! Thanks for the detail explanation about the closure. I understand and respect your decision. P.S. There are the support forums (Arabic, English, French, Spanish, etc.) for Forumotion that can answer members' questions. Lucky enough, I was able to post the most important thing I've envisioned in my forum, before the section is going under deliberation of closing permanently or not. I hope there are more skilled Web Devs signing up in the forum, I really liked that section to be opened, since it is fun to be able to learn things step by step, instead of reading everything directly and getting spoon fed. That is something that needed to be done @Ange Tuteur because you were providing a lot help here which is not fair because not only to me but to others too this took too much time from your work. That's the purpose of the ESF and as far as i know this is one of the best themes atm so you should focus on making it as perfect as possible! Lot's of respect and appreciation for all your help! I totally respect your decision as I prefer you to spend your resources and time to develop new and improved features than to try and help as many requests as you possibly can. Thanks for your help and all that you do selflessly. @Jazeon wrote: Lucky enough, I was able to post the most important thing I've envisioned in my forum, before the section is going under deliberation of closing permanently or not. I do plan on expanding the "Learning Resources" section in the future. It'll mostly consist of helpful learning resources, like links to websites, coding tools, and tutorials which I plan on teaching the basics of applying the knowledge you learned to improving your forum. 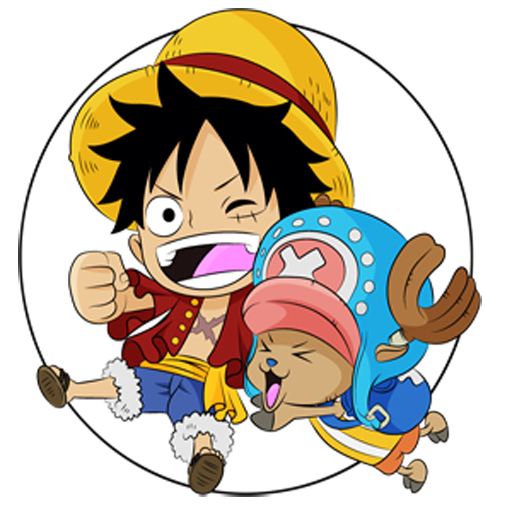 @Luffy wrote: That is something that needed to be done @Ange Tuteur because you were providing a lot help here which is not fair because not only to me but to others too this took too much time from your work. That's the purpose of the ESF and as far as i know this is one of the best themes atm so you should focus on making it as perfect as possible! Hehe it was okay at first, but I noticed that my progress started slowing on my ongoing projects -- that and I was exhausted. I plan on supporting this theme for awhile, and improving it whenever new ideas come in ! @Draxion wrote: I totally respect your decision as I prefer you to spend your resources and time to develop new and improved features than to try and help as many requests as you possibly can. Thanks for your help and all that you do selflessly. I ought to have adequate time to focus both on tutorials as well as development of FAE now. Although I do plan on taking a brief break to recover and clear my mind. New ideas always come better to me when my mind is empty. I can imagine how hard is it for you, we definitely understand you. Thanks for your help to them inquiries still.